The search engine ranking of the blog is very important for a blogger. You can make your post come in the starting of the search results by targeting useful keywords. The good keywords are not actually words rather most of the times they are phrases. You have to use combination of different words as keywords to target audience. You can also use single keywords but they have a problem that you will have to compete more people. Several websites will be using those keywords. For example if you are writing on the topic of Freelance writing and you target the keyword "freelancer", you won't be getting any advantage as many other sites are also using "freelancer" as a keyword. You have to narrow down your keyword to attract more audience. You can target "freelance writer", "freelance writing" and such other keywords for the above topic. Similar is the case with other topics. You will get advantage by narrowing down your keywords. When people search for something on search engines they search for phrases rather than single keywords. For example one will not search for "writing" or "freelance" rather he would search for "freelance writing tips". Your main target is the audience so you have to use phrases as keywords. One best site to search for good keywords is Google Insights. Enter the keyword that you want to target in your upcoming post and the site the give you some statics about the usage of that keyword. It will also suggest some keywords for you. Use the best keywords to attract a lot of audience. 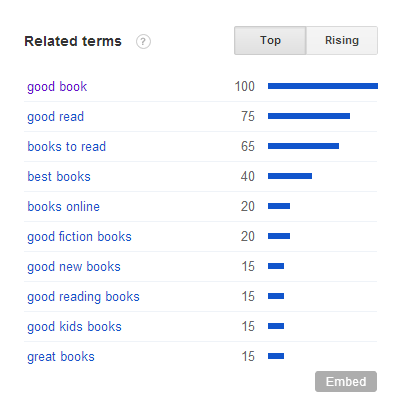 Here you can see the graph is rising, this means that it is a good keyword to target. By this technique you can easily search for a good keyword. You are also given suggestions at a side. These suggestions are based on the words that people usually search for. The phrase you entered for search may not be the best option so you are given other options to consider. It is good to use one of the suggestions if your entered phrase is not a good keyword. There will be some keywords infront of which "breakout" will be written. 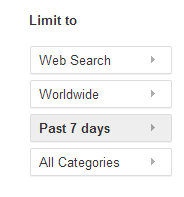 It means that the number of times these keywords have been searched has been improved significantly. There may be a lot of difference between the ranking of a keyword 2 months ago and now. For this reason you should know about the most updated ranking of a keyword. There is also a possibility that you are unable to notice any major difference between the ranking of several keywords but still try it. Similarly, if your post is for some specific region you can select the region as well. You can also make your search more refined by using the category option.